Thatto Heath Crusaders will be aiming to create one of rugby league's biggest ever cup upsets when they face Championship side Dewsbury. But that's only one part of a potential cup double on Sunday for a club with big ambitions. "It's going to be quite a day," admitted Thatto Heath chairman Mike Denning. "We'll have three buses going over to Leeds for the BARLA Cup final, but we're expecting around 1,000 at Crusader Park for the Challenge Cup tie." Thatto Heath, in the rugby league hotbed of St Helens, have already lit up this year's Challenge Cup. 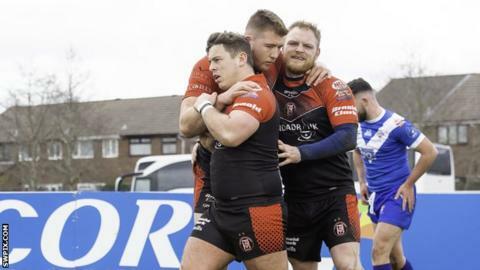 The National Conference League Premier Division side's third round victory over Rochdale Mayfield was shown on the BBC website, and they caused a stir when they beat League One semi-professionals North Wales Crusaders in the last round. "We like to think we're restoring a bit of the magic to the cup," said Denning. "It's brilliant for the game that we have a community side in the fifth round this weekend. "But we know it's going to be very tough against Dewsbury. We know their coach Lee Greenwood very well because he was involved in the community game at Siddall, one of our big rivals. And he will make sure his team will not be holding back." 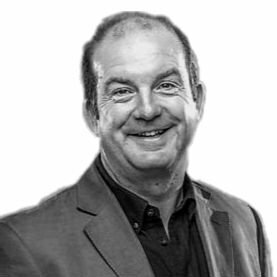 Thatto Heath can lay claim to being one of the biggest amateur sides in England with around 500 playing members, from a tots team for the under-fours, through all age groups up to three open age sides, three girls' teams and a masters side. "We like to think we're a well-run club," said Denning. "But this cup run has undoubtedly given us a big boost. "One side of it is that we have got this national spotlight, which helps us highlight not just our club but shows how good the community game is across the board. "And the money we earn will be put back into the club to improve our facilities even more."